Category Archives: fashion to figure makeover contest. 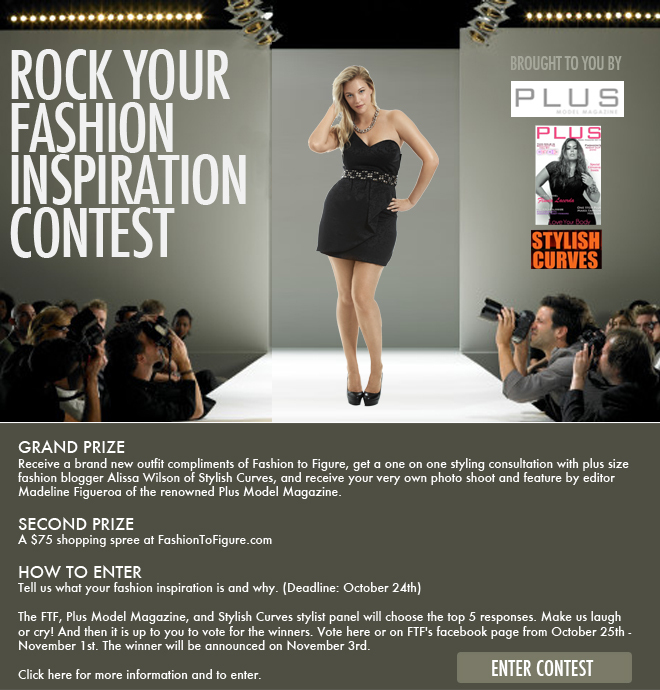 Thanks so much for entering the Rock Your Fashion Inspiration contest with Fashion to Figure, Plus Model Magazine, and Stylish Curves. We have finally narrowed it down to the top 5 finalist and we need your help to pick a winner. 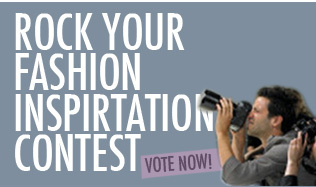 Go to Fashion To Figure and read through the top 5 entries. Click on the entry that you like the best. You can like one or like them all. Voting is open from Oct 25th – Nov. 1st. The Grand Prize winner will receive a brand new outfit compliments of Fashion to Figure, get a one on one styling consultation with plus size fashion blogger Alissa Wilson of Stylish Curves, and receive your very own photo shoot and feature by editor Madeline Figueroa of the renowned Plus Model Magazine. You can cast your votes on Fashion to Figure’s Facebook page. Click here to vote. The winner will receive a free outfit totaling up to $100 and a style consultation with me (yes, yours truly) at the Fashion To Figure store here in NYC and receive a photo feature in Plus Model Magazine by my Plus Model Magazine Editor Madeline Figueroa. The Second Prize winner will receive a $75 gift card. The FTF, Plus Model Magazine, and Stylish Curves stylist panel will choose the top 5 responses. Make us laugh or cry! And then it is up to you to vote for the winners. Vote here or on FTF’s facebook page from October 25th – November 1st. The winner will be announced on November 3rd. So tell everyone you know to enter the contest. Below is the link to enter the contest and the contest official rules.